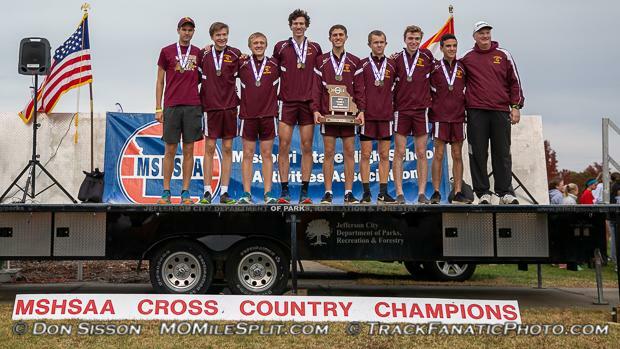 Lutheran (KC) Wins Both Class 1 Boys & Girls Titles. The Girls of Lutheran (Kansas City) took the team title narrowly over Blue Eye with a 60-73 finish, their first championship in school history. 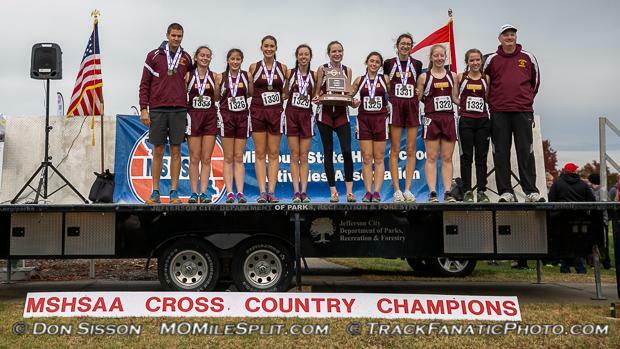 Abigail Allred (6th), Lauren Ada (10th), and Madison Chappetta (17th) led the way for them with All-State finishes followed by Reese Pohlman (26th) and Rachel Ada (27th) who ran very very well to secure the team championship. They were joined on the podium by Blue Eye in 2nd, West Platte in 3rd, and St Joseph Christian in 4th. The Lutheran Boys also won their first ever State Championship on Saturday with an 86-102 win over Oak Ridge. The All-State Trio of Jesse Schultz (4th), Christian Hinrichs (20th), and Caleb Schempp (22nd) led the way with Nathaniel Fischer (50th) and Samuel Allred (95th) coming in strong to help them claim the title.